By David J. Coehrs - dcoehrs@aimmediamidwest. 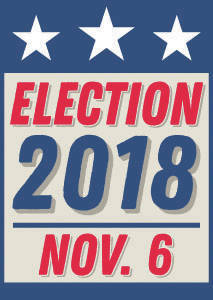 The race for state representative of Ohio’s District 47 on Nov. 6 is between Republican incumbent Derek Merrin of Monclova Township and Democrat Gary Newnham, a newcomer, of Sylvania. Merrin, who has held the office just over two years, was appointed in 2016 to replace Barbara Sears, who vacated the post to become assistant director of Gov. John Kasich’s Office of Health Transformation. Merrin defeated Republican opponent Barbara Lang by a 64.5 to 35.4 percentage in the March primary. Newnham ran unopposed in the Democratic primary. The territory of Merrin, the 32-year-old former mayor of Waterville, includes much of Fulton County. Merrin cites his accomplishments in office, including passage of a bill he sponsored to repeal the sales tax on eyewear; it goes into effect July 1, 2019, and it’s estimated it will save taxpayers $30 million annually. Other bills he has sponsored include the Epinephrine Accessibility Act, which is still pending and would give pharmacists more flexibility to help patients purchase epinephrine auto injectors at a lower cost. House Bill 214, which Merrin jointly sponsored and which went into effect March 23, 2018, prohibits the abortion of fetuses with or suspected of having Down Syndrome. “The amount of legislation I have pushed through is far above the average legislator, let alone a new member. I have a proven track member,” he said. 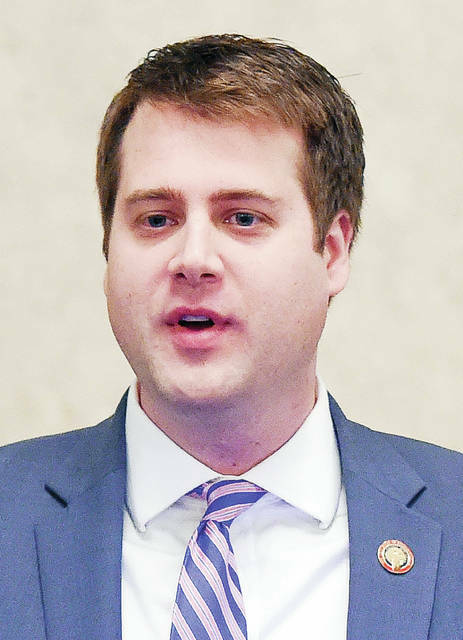 A graduate of both the University of Toledo and Bowling Green State University, with a Bachelor’s degree in Art and a Master’s degree in Public Administration, respectively, Merrin said his major efforts as a state legislator are pursuing business for Ohio and less government regulation. Merrin sees a need to lower the income tax rate and to lower or completely eliminate the commercial activities tax. Locally, he’s concerned about the high level of property taxes. “The legislature needs to address the school funding issue to make sure that rural and suburban school districts are treated fairly, and get their fair share. They need to be prioritized, like urban districts,” he said. Merrin also said he’ll continue fighting for limited government and against welfare programs that discourage people from working. “I think I represent the district very well regarding their feelings on limited government. A lot of the state agencies need to be reined in by legislature,” he said. A native of Maumee, Newnham, 69, is pursuing his first public office. A graduate of Bowling Green State University with a degree in international studies, and Ohio University with a Master’s degree in Latin American Studies, he earned a law degree from the University of Toledo. Following law school, Newnham volunteered legal services for the Nebraska Indian Commission through Volunteers in Service to America. He remained in Nebraska to act as a legal advocate for senior citizens before returning to Ohio. A U.S. Army veteran, Newnham retired in 2013 after serving 30 years as a staff attorney with the Lucas County Child Support Enforcement Agency. He now accepts court appointments as a guardian ad litem for abused and neglected children. 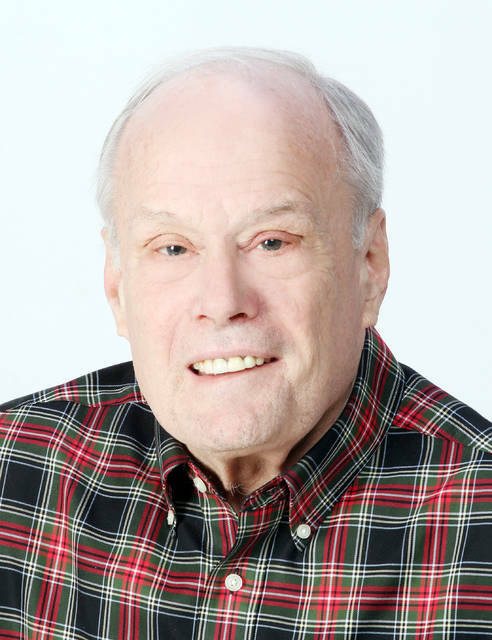 He is founder and treasurer of the Fallen Timbers Battlefield Preservation Commission. His major concerns include the need to invest tax dollars in local communities rather than allow them to be forwarded to the state. He would like to see the money used for infrastructure repair and to assist in solving Ohio’s opioid epidemic. He’s upset as well over the millions of dollars the state provided the Electronic Classroom of Tomorrow (ECOT), once the state’s largest online charter school. It was closed in January by its sponsor, the Educational Service Center of Lake Erie West, due to financial and student attendance issues. “The money could have been better invested in public schools,” Newnham said. During a radio interview earlier this year, he called out opposing candidate Derek Merrin to return a campaign contribution from ECOT founder William Lager. “I demanded that he donate that money to charity instead of keeping it in his campaign coffers. As far as I know, he hasn’t done that yet,” Newnham said. He also criticized Merrin, who owns several rental properties, for pursuing legislation designed to limit the time necessary before a rental property tenant be be evicted. “He puts his own interests above those of his constituents. I’m going to work on their behalf,” he said. If elected, Newnham will schedule regular town halls throughout his territory, and work with both political parties to resolve the concerns of his constituents. He said Merrin declined an invitation to debate him at a town hall held in the state capitol in September. “I will listen to people’s concerns and try to get those concerns addressed in Columbus,” he said.